Is there a better alternative to Loot Locker? Is Loot Locker really the best app in Security category? Will Loot Locker work good on macOS 10.13.4? When you need to hide your application’s resource images, Loot Locker is a great tool that lets you do just that! And with AES encryption option. In addition you get open-source tools to unlock the resource images inside your application. 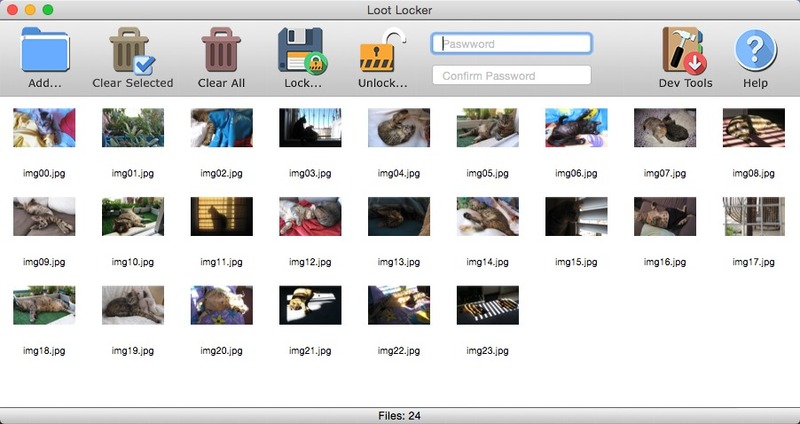 Loot Locker is a great tool when you need to hide your valuable images and encrypt them with a password. It is also useful when you wish to transfer images securely, making sure only the people allowed can access your files. Loot Locker needs a review. Be the first to review this app and get the discussion started!